In contrast to Caesar, Augustus was a superb, uncompromising and ruthless politician. 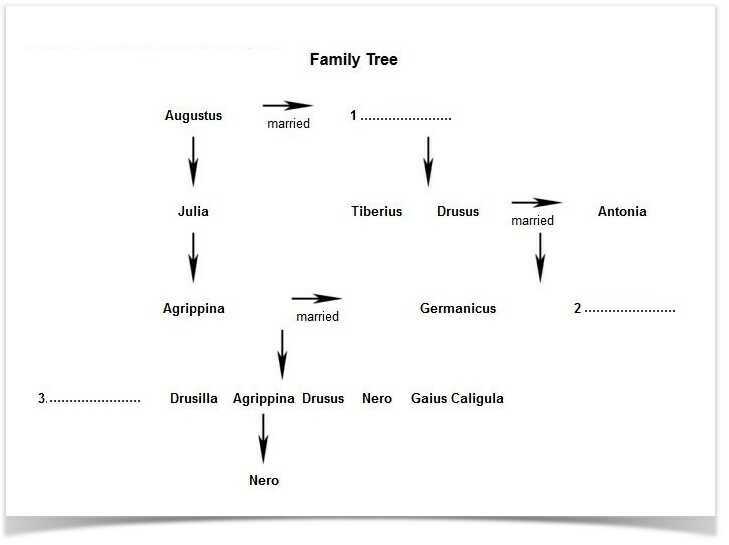 Early in his career he realized that his family could not rule alone, and he allied himself with the Claudians by marrying a woman called Livia Drusilla. Livia was not only a Claudian herself, but the former wife of another Claudian. She had two children by her first marriage, Tiberius and Drusus. Since Augustus had no sons he had adopted Tiberius, the uncle of Germanicus. As the son of Augustus, Tiberius became emperor after him. Augustus had known how popular Germanicus was, and considered adopting him instead of Tiberius, but instead adopted Tiberius and made Tiberius adopt Germanicus. His plan was that power should go from himself, to Tiberius and then to Germanicus and his sons. Germanicus had already become closer to the Julian family by his marriage to Agrippina, the grand-daughter of Augustus. Sadly, the glittering career of Germanicus did not happen. From Germany he want to Asia Minor where he again won victories for Rome, but on his return from a trip to Egypt he became ill and died. Some modern historians believe that Germanicus died of malaria, but Germanicus and his wife were both convinced that he had been poisoned by his enemies. Among those they suspected was Tiberius, the emperor, since it was felt he wanted power to pass to his own son rather than to Germanicus.